Portugal’s vineyards are the source of some of the world’s most celebrated wines. 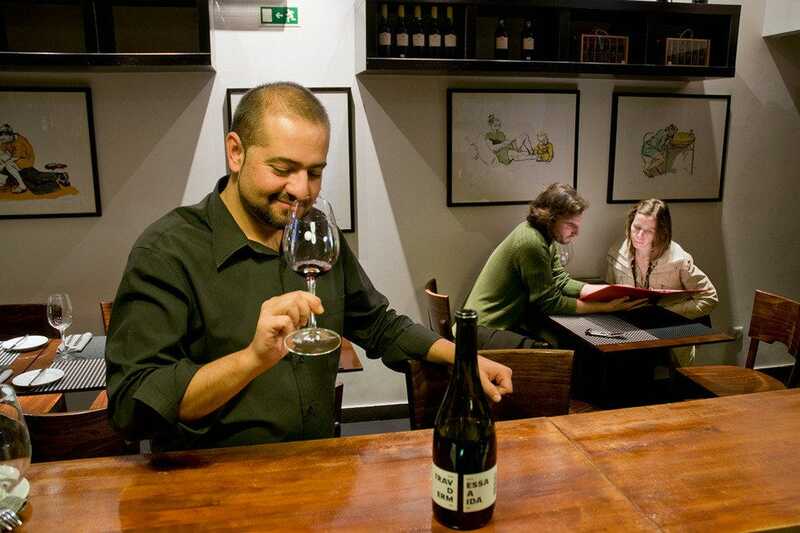 In Lisbon, numerous different wines can be enjoyed in bars planted in and around the capital. Tempting the palate are fruity reds and elegant whites, made from a host of grape varieties. 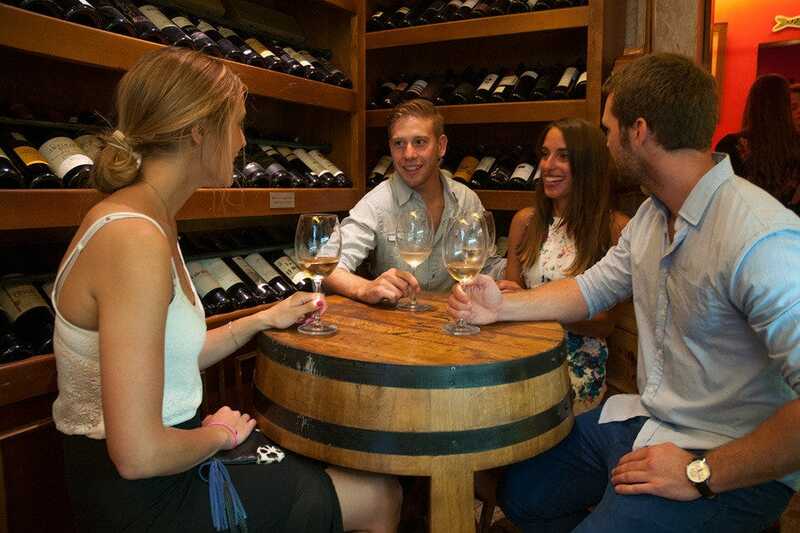 In fact, a night out discovering the city’s best wine bars is a civilized and rewarding experience. 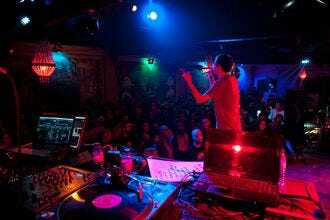 Bairro Alto district is home to several excellent venues. 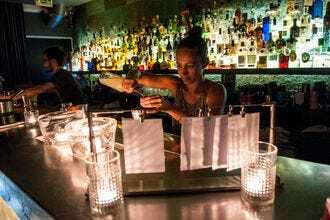 Dotted around the warren of streets and terraces of this lively Bohemian quarter are places like the inviting BA Wine Bar, where the service is extraordinary. Up in Principe Real is Bottega Mortucci, which stocks a superb collection of Portuguese wines, many of them rare labels. 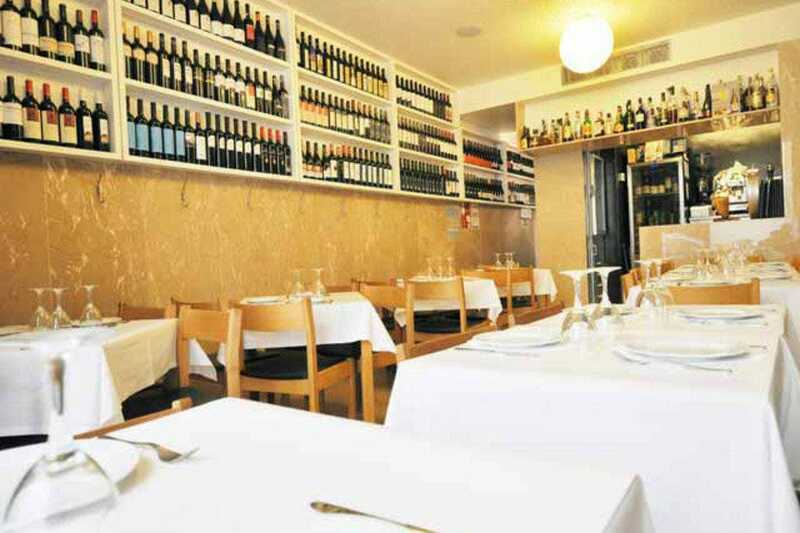 In Chiado at By the Wine customers are made to feel truly welcome, and there’s a comprehensive wine list to choose from. 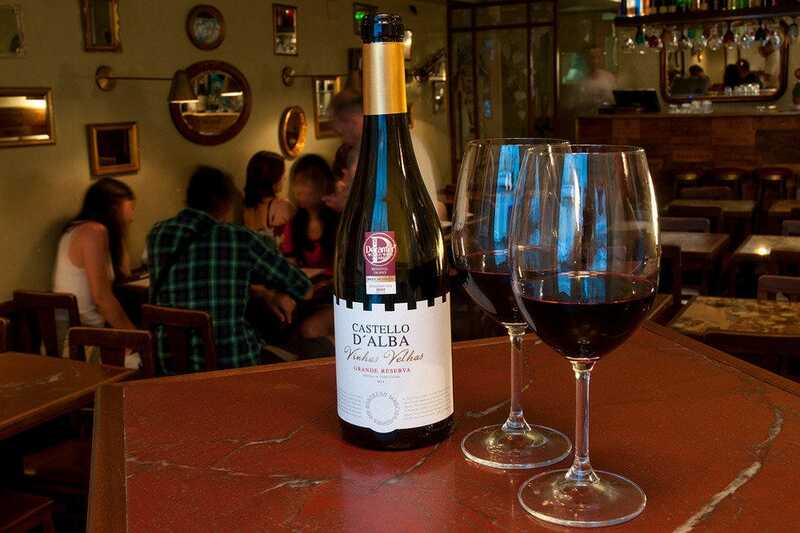 Meanwhile back in Bairro Alto are options like Alfaia Garrafeira, The Old Pharmacy Wine Inn, and Grapes & Bites, all noted for their superb wines and warm hospitality. Up near the castle is the boutique Wine Bar do Castelo. 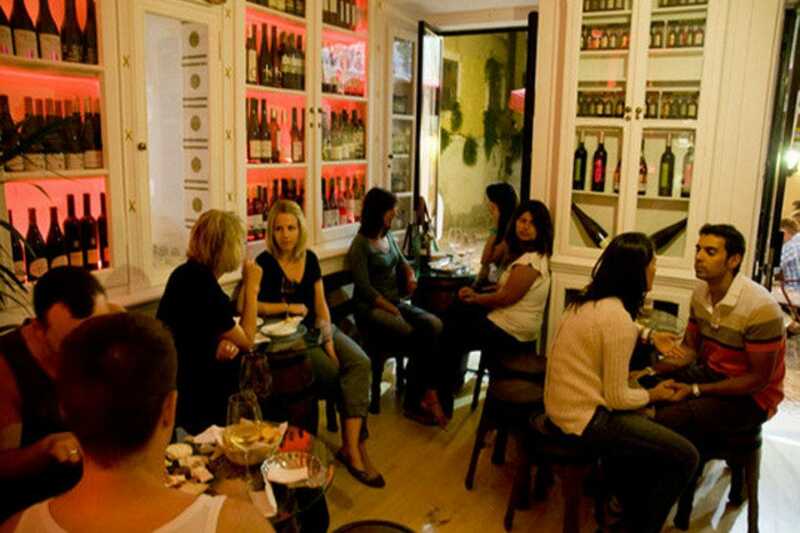 Meanwhile back in Bairro Alto, pay a visit to Fidalgo, a restaurant that thinks it's a wine bar. Here, some of the wines are very valuable indeed. Up near the castle is the boutique Wine Bar do Castelo. 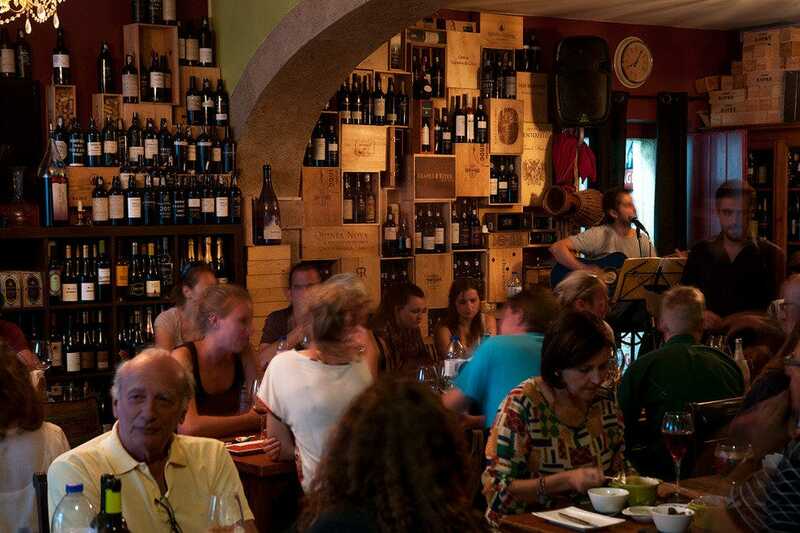 Artis is another favourite Bairro Alto wine bar. 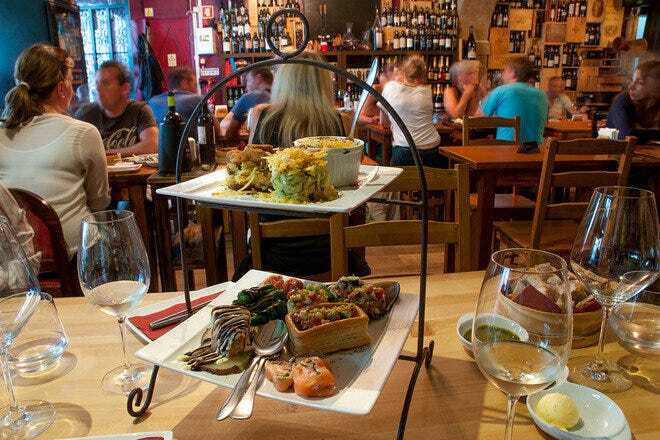 And if you’re visiting Belém, pop into Enoteca do Belém for a few glasses over tapas and good cheer. Wonderfully intimate with an offbeat, hole-in-the-wall appeal, Artis is the personification of the classic wine bar â" lots of wood, quirky décor and low lights. This used to be a jazz bar, and a cherished old saxophone takes pride of place in a glass case on one of the yellowed walls. Also displayed are original ceramics by the celebrated potter Rafael Bordalo Pinheiro and a 1918 photograph of a Lisbon wine-tasting party â" a great idea even then! Wine choice is select, around 50 different Portuguese labels, including port and Madeira, all sold by the glass. Even so, for those not familiar with wine from this country, it can still be a daunting (through pleasant) task trying to decide what to drink so Flavio Fernandes and his staff are on hand to take you through each region. Actually, they usually ask where you're from â" northern Europeans, for example, jump at the chance of tasting a light, crisp Alvarinho, a vinho verde and Flavio's favourite tipple â" so the team is sometimes already primed with suggestions. But be sure to try the Quinta de Vale de Pios, a hearty red from the Douro. A real treat, however, is Castelo D'Alba Vinhos Velhas Grande Reserva 2011, which also originates in the Douro. They serve a fine selection of petiscos here, tapas-style finger food: the shrimp in olive oil and flaming spicy sausage are genuine crowd-pleasers. Though not strictly a wine bar per se, connoisseurs of fine wine will be suitably impressed with the selection at this smart and stylish eatery. The list numbers around 180 different labels from across Portugal and includes respected names like Esporão, Quinta do Carmo, Conde de Vimioso and Mouchão. In fact, you wonder how they cram so much quality into such a small space. Fidalgo opened in 1971 and has remained in the same family ever since. It's a small restaurant, but there's additional room downstairs and outside, where tables are set on warmer days. The menu reads like a traditional recipe book, with dishes like bacalhau à lagareiro (grilled cod with baked potatoes drizzled with hot olive oil and garlic) and arroz de frango de cabidela (rice with country chicken) among the daily recommendations. Special fish and seafood combinations for two persons are also available. The number of different wines available at this lively wine bar numbers nearly 1000, an eye-popping choice of excellent reds and whites, nearly all of them Portuguese. Lengthening the list even more is a fine selection of vinho verde, port, Madeira and Moscatel, among others, and for special occasions you can order champagne. There is also an imaginative cocktail menu. Sold almost exclusively by the glass, the wines represent just about every region in Portugal. Aficionados will be won over by reds such as the elegant Quinta dos Carvalhais 2003 from the Dao region. Its intense bouquet of ripe fruits, aromatic herbs and arm spices, is quite beguiling. Those who prefer white wine should consider the Gouvyas reserva 2007, a Douro wine celebrated for its refreshing aroma of sweet tropical fruits â" just the job on a warm summer's evening. The bar is set in a converted 18th-century coach house in what were once the stables. Arched walls and ceiling lend the place a suitably historic veneer. António Baeta has brought together a savvy front-of-house team to run Grapes & Bites, and that includes assistant manager George Nascimento, a Portuguese who originally hails from Yonkers, in the U.S. state of New York. 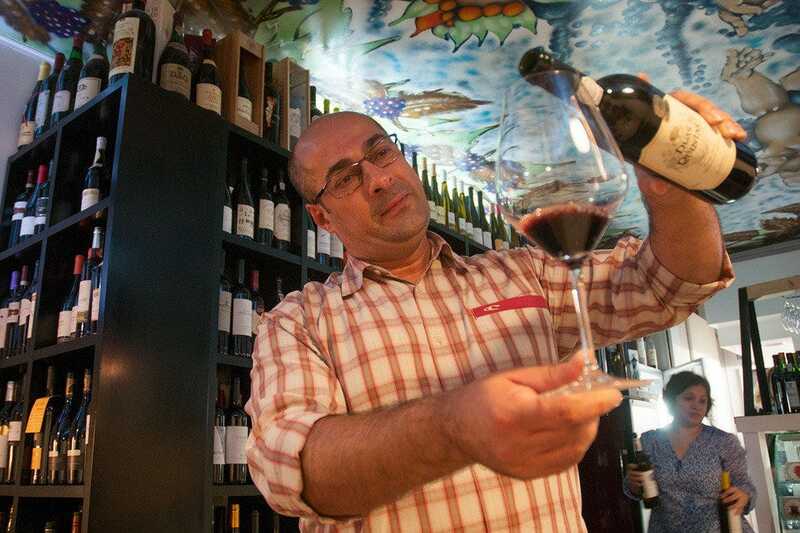 "This is a place to discover Portuguese wine," he says, "and even connoisseurs are impressed." Gourmet finger food and traditional petsicos (snacks) can be ordered to complement the palate and guitarist strikes up early evening to provide an unobtrusive soundtrack. A recent addition is the six-room hostel sited above the premises. Converted from an early 20th-century pharmacy but retaining most of the original décor, this is one of Lisbon's most alluring and attractive wine bars. The owners have carefully preserved the vintage interior and made imaginative use of the glass-fronted cabinets lining the walls to stock an array of different wines, the bottles standing where ceramic jars of ointments, lotions and assorted potions would have been displayed. Lighting has been designed to fade in and out in waves of sapphire blue, peppermint green and strawberry red. Most of Portugal's wine regions are represented, with the Alentejo and the Douro Valley particularly highlighted: try the Quinta do Passadouro Reserva 2007, a noble red with a heady 14.5% alcohol content. If the evening is hot and dry, the light, fresh Dona Paterna Colheita Alvarinho 2010 vinho verde will do the trick. Wine consultant Sérgio Antunes designed the list, and the inn's resident sommelier is on hand to assist guests bewildered by the choice. Bar owners André and Jorge ably maintain the tradition of Portuguese hospitality. The optional charcuterie board â" cured hams, spicy sausage and sharp cheeses â" works wonders and the medley of flavours is extraordinary. Pedro Marques knows his wines and is a member the Confrade da Confraria do Periquita (Periquita Wine Brotherhood) â" a great honour in Portuguese wine circles! Alfaia is equally respected for its gastronomy â" an enviable choice of regional petiscos (snacks) that includes smoked sausages, cured hams, grilled prawns with garlic, melt-in-your-mouth cheeses and lots of other artisanal goodies prepared by chef Vitalina Marques. The more than 400 wines are all Portuguese, and sold by the glass or bottle. 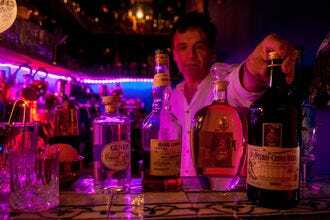 The comprehensive list is supplemented by selections of port, Madeira, aguardente and various liqueurs. 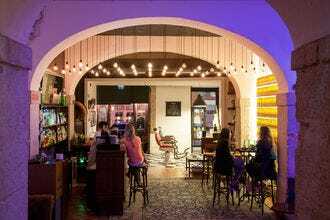 The space is deceptively large, the beautifully decorated bar salon with its neatly stocked shelves and pata negra presunto suspended over the counter giving way to a larger seating area accessed through a stone rimmed portal. During warm summer evenings the wooden stools set outside on the pavement are quickly snapped up, and its here while you watch the world go by that you can best savor a crisp citrusy vinho verde ("green" wine) or throw caution to the wind and sip a rare Barca Velha, a noble red from the Douro Valley. Another special treat is their Quinta do Ribeirinho 1999, from Luís Pato. Pedro's own favourite is a Dão, Quinta da Fata "Touriga Nacional". The entire range of wines produced by celebrated Portuguese producer Jose Maria da Fonseca is available by the glass at this inviting bar. Located near Lisbon's historic Chiado neighbourhood, By the Wine also sells by the bottle and offers up a menu of delicious local delicacies by way of cheese and sausage boards textured with regional trimmings. Guests can choose from around 50 different reds, whites and roses. Sparkling and fortified wines are also listed, plus a selection of brandies. 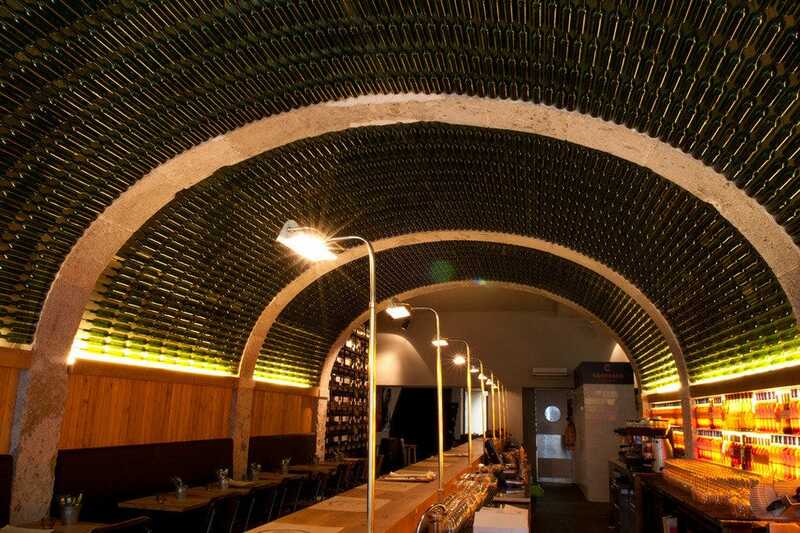 The main salon is fashioned under an intriguing ceiling design made up of over 1,000 empty green bottles. The second bar features a display of French oak barrels. The shelves, meanwhile, groan under the weight of all that wine. "I don't sell wines. 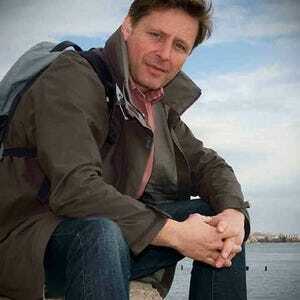 I sell experiences," declares Mike Taylor. 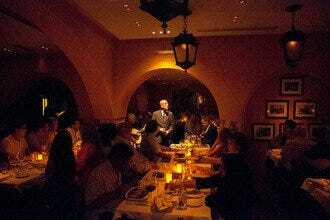 This is no idle claim, as anyone who has enjoyed an evening at Bottega Montucci will testify. An American-Brazilian with several languages under his belt, Mike is an accomplished sommelier who is the life and soul of this charming wine bar. With a passion for �–and encyclopedic knowledge of�– world wines, his expertise is matched only by his infectious enthusiasm for everything that comes out of a vineyard. Indeed, a visit to Bottega Montucci is an education. There are hundreds of wines to sample here. Most of them are Portuguese, representing all grape varieties. Mike works with many lesser-known but no less celebrated wine producers from all four corners of Portugal, which translates as one word: "exclusive!" "These aren't supermarket wines," he says. "We have a lot of limited edition wines that you simply can't find anywhere else." 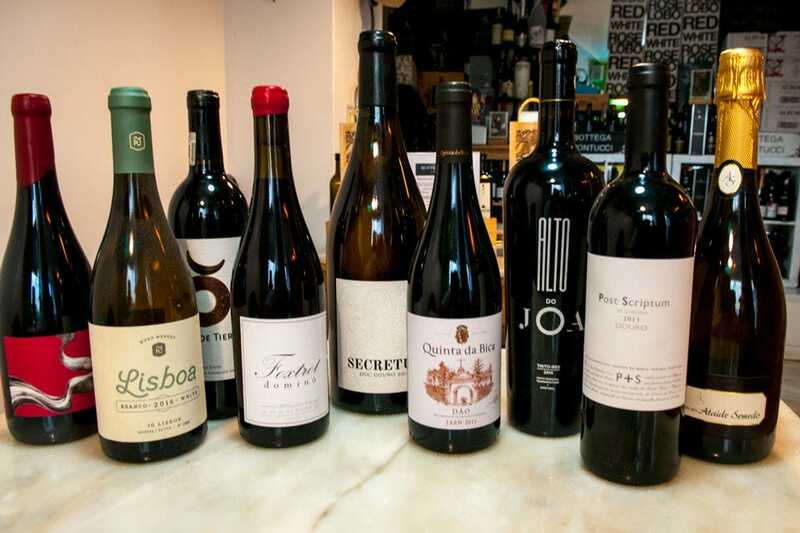 The impressive wine list includes Post Scriptum, Quinta da Bica, Secretum, and Alto do João. Connoisseurs should ask to see Mike's collector's editions, his special vintage wines. 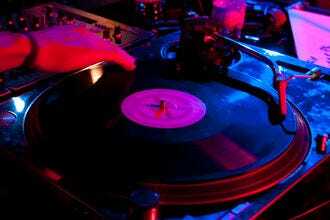 Some of these date back to the early 1950s. Besides wines, customers can savour an exceptional range of tasty gourmet finger food. These three-course 'Food and Wines Experiences' marry artisan Portuguese gastronomy with wines of your choosing, plus those selected by Mike himself. Vegan platters are also available. Inside, near the entrance, a framed quote simply reads: "Wine is Bottled Poetry." It's a statement that suitably sums up Bottega Montucci's raison d'être. Despite its diminutive dimensions this wonderfully atmospheric wine bar manages to cram more than 200 different bottles of wines onto its shelves, all of them Portuguese. Rui Rossa and his team are passionate about wine, and their enthusiasm is clearly evident in the hospitality shown towards customers. Served by the glass, the origins of each wine and the grape varieties used are explained in an upbeat and informative manner. In fact they positively sing the tasting notes! If you're unsure about what to try, mention a region, a date and whether you prefer sweet or dry, red or white and they'll do the rest. A tasty ensemble of optional hams, cheeses, jams and other traditional delicacies help soak up the flavours. "You can travel through Portugal without leaving your seat," says Rui, explaining the concept behind the bar. Depending on your tastes, you'll be offered anything from a Granja Amareleja, a fruity red from the Alentejo region, to an earthy Sidónio de Sousa, a Bairrada red that Rui describes as "Portugal's Bordeaux." Embellishing the list is a fine selection of port and Madeira wines, Moscatel, late harvest and espumante (sparkling wine). 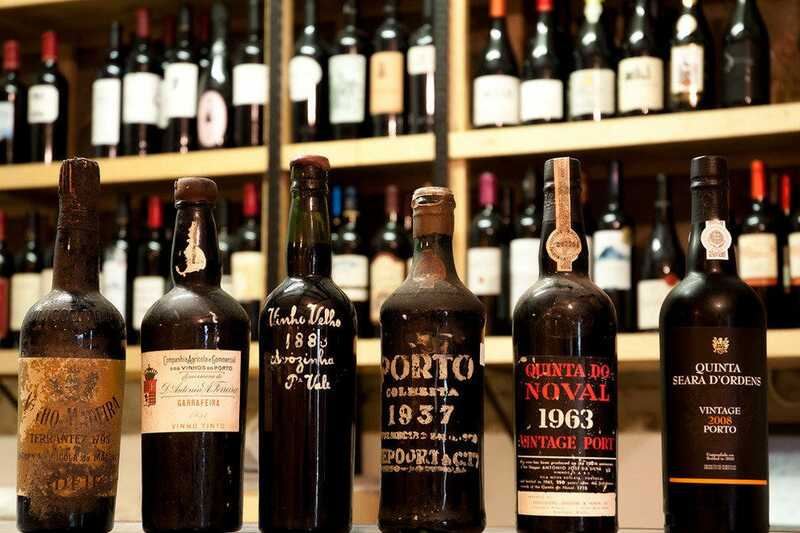 The oldest wine in stock is the Madeira from 1883: a close second is the 1851 port. Expect to pay around 200 euros a pop to imbibe these magnificent drinks.